Your knife’s handle forms the critical transition from your arm and hand to the cutting edge of your blade. 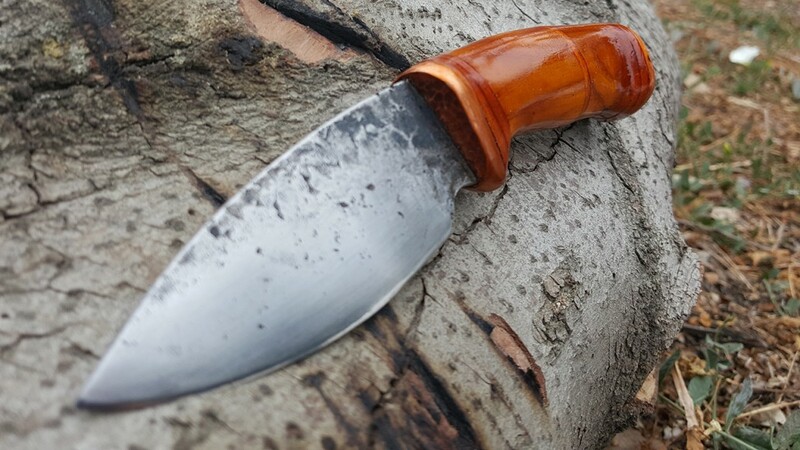 Custom shaping and fitting your handle to your hand’s unique shape and characteristics is key to creating the perfect bushcraft/survival knife. *The Traditional Knife Hafting class is the second in a three part series of classes followed by Traditional Sheath Making and preceded by Primitive Bladesmithing. We understand that emergencies and unforeseen circumstances do happen. As such we offer the courtesy of transferring your fees to a different class within six months of the originally scheduled class minus the respective admin fee. For example, a single day $50 workshop cancelled the day before may be transferred to a multi-day $100 workshop the following month. The total balance due would be $60 ($100 multi day – $50 single day transfer + $10 single day admin fee). Cancellations made within 24 hours of the scheduled class start time and no-shows, forfeit the option of a fee transfer however a 20% off voucher may be given towards your next class of equal value.